Commercial real estate Listing scipts for Telemarkters & Sales-assistants. Telemarketing scripts for commercial real estate listings. and Sales assistants scripts for commercial real estate listings. Commercial real estate agents who have limited time left for prospecting for new business have found it lucrative to hire a telemarketer to make prospecting calls. Commercial real estate telemarketing scripts for listings were written to help you get more appointments. Smooth-talker Sales Scripts is reponding to your request for much-needed commercial real estate telemarketers scripts for listing and selling their commercial investment property. 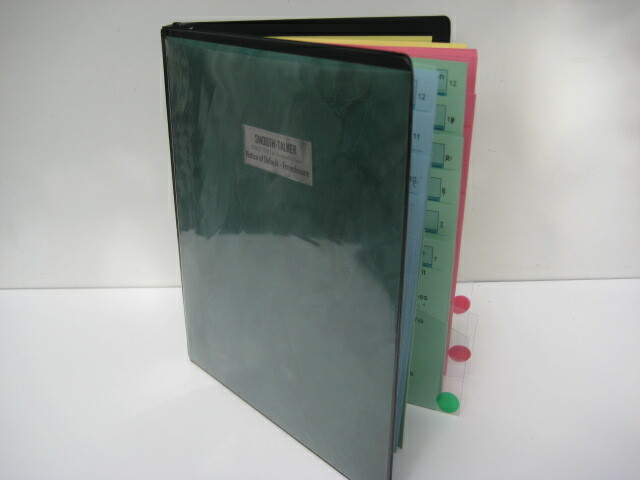 Script comes with a high-quality leatherette 3-ring binder, 4 section flippers, a 24 page Instruction Manual, and extra pages to write your own additional scripts. For a complete list of page headings for Commercial Real Estate Sales-assistants Listing scripts, go to the bottem of this webpage. There is a difference between the scripts for commercial real estate agents and scripts for telemarketers is in the words that they use. Written in the "1st. person." Scripts that are designed & written for the person who is prospecting for their "own" potential clients. Written in the "3rd person." Telemarketers & Sales assistants scripts are written for those who work for them. Telemarketers must say who they are representing by mentioning them by name. 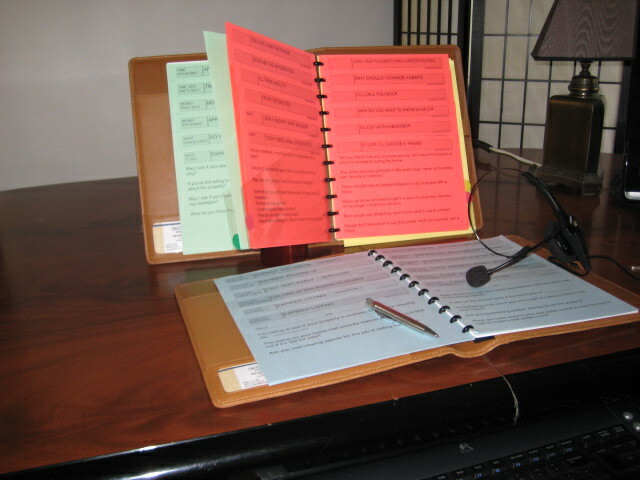 Telemarketing scripts for listings and sales have never been written or produced before. No such scripts are available to help telemarketers prospecting for commercial real estate listings. Commercial real estate scripts for telemarketing to get listings are produced for the purpose of hiring a telemarketer to call on investment property owners who may list their commercial property. Commercial real estate listing telemarketing scripts can produce a large number of leads if they are prepared with a script. Commercial real estate telemarketers scripts will lead to increased revenues due to the fact that they generate new business leads. Commercial real estate telemarketing scripts are are hard to find. Check out the internet and see for your self. Smooth-talker Sales and Prospecting has written to assist you in your prospecting activities. Calling to get listings requires constant contact. To successfully list the property owner, constant contact must occur with them. It is essential to establish a good relationship with a prospect in order that they trust you enough to list their investment property. That's time that the busy agent just doesn't have. A commercial real estate telemarketers depends on scripts for their skills to make prospecting calls to a wide range of people with disposable income. Real estate companies depend on revenue generated from calling prospects who own investment and comercial property. The value of a commercial real estate sales assistants listing script cannot be overstated. They need a real estate sales script to know what to say to a prospect and how to respond to an objection. Sales-assistants and telemarketers face the same rejection as the agents do. The sales assistants who prospect for listings face the same "fear of rejection" that the real estate agent faces. No wonder there is so much turnover & inefficiency, they don't know what to say. Smooth-talker provides a script that covers the main components of the prospecting process. You can't expect a Sales-assistant or a Telemarketer to have the same skill set that a full fleged real estate professional has. Headings for commercial real estate telemarketing scripts to get listings. GREEN 24 pages of scripts. You are doing the talking and conversing about commercial real estate. 12 pages Lead-off scripts for Commercial real estate listing. The dialogue identifies you, gives a reason for the call, and states a brief selling message. Do you want to list their property for sale? Prospecting call for listing and selling. Reasons to list & sell. Old listing - renew interest. Follow-up call - previous contact, stay in touch. Follow-up call after after a mailing. Let you know they service available. Can list your property with a "one-party listing"
Old prospect - Call to renew interest. Expired listing - renew interest. 12 pages of scripts for asking the traditional prospecting questions. Get More Money For Selling Build Relationships Take the next step. 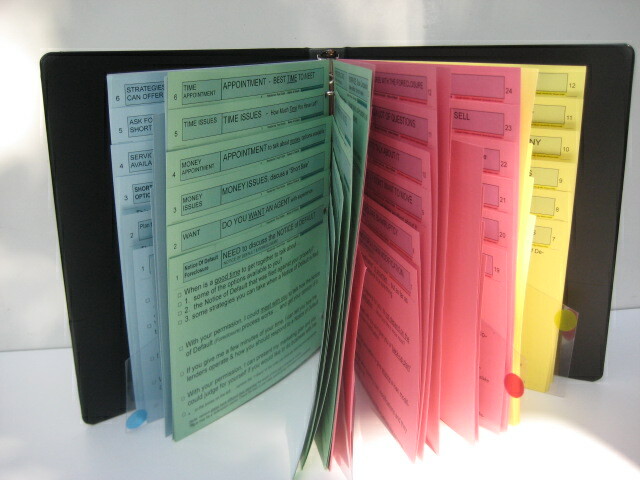 RED 24 pages contain Questions that must be answered and Objections that must be responded to. I Don’t have any plans to move. Why Should I Choose You? How Much Is Your Commission? I'll list with a recommended person. Others charge 1 to 3% commission, $500 fee! Call Me Some Other Time. YELLOW 12 pages are the traditional selling language and the reasons to do business with you. Benefits of Company & Agent Services Marketing Plan I Intend to Use to get your home sold. Sales-assistants, Appointment-setters, and Telemarketers have many names. Commercial real estate telemarketers are referred to by many names including: appointment setters, inside sales assistants, marketing reps, business development aides, sales support associates, prospecting helpers, sales affiliates and many other unique monikers. But the reality is that all real estate professionals want to leverage their efforts to make more calls to prospective clients using the telephone. Telemarketers and Sales-assistants fear failure, same as everyone else. In order talk about how to succeed as a real estate telemarketer, we must talk about why a telemarketer fails. It’s a problem looking for a solution. In real estate, the fear of rejection and humiliation are not caused by what others do, but by what they say and how they say it. It’s never a physical attack but a verbal attack. The only way to avoid any type rejection is to avoid making phone calls in the first place.